Recent changes in Atlassian REST mean that some browser requests may be blocked because the origin of the request is not trusted. How does the CSRF origin protection work? The CSRF origin protection works by comparing the origin of incoming requests via the origin and referer headers. In simple terms it checks that the origin of a request is in the same origin as the application itself or if the request origin is trusted by the application. Note: Assume that https://trusted-origin.com is trusted by the application. http://somethingelse.com http://example.com - the host does not match. http://example.com:81/ http://example.com/ - the port does not match. https://trusted-origin.com https://example.com - allowed because the request comes from a trusted origin. As per the assumption above, https://trusted-origin.com is trusted by the application. https://trusted-origin.com https://example.com/ - allowed because the request comes from a trusted origin. As per the assumption above, https://trusted-origin.com is trusted by the application. This usually happens due to Tomcat proxy configuration issues. the configured proxyName matches the hostname that the application is accessed on. 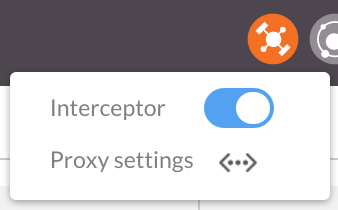 the configured proxyPort matches the port that the application is accessed on. the configured scheme matches the scheme that the application is accessed with. Where can I find more information about configuring a reverse proxy for my product? For example, if you are using Postman to send a request to https://foobar.example/ then set the Origin header to https://foobar.example/.